As close as it is to Boston, Brookline has its own unique environment and feel. Brookline, MA real estate features a mixture of urban and suburban living with plenty of upscale shops and restaurants, recreational green spaces, apartments, condos, single-family dwellings and large estates. Offering a great mix of city living and a feeling of being in the country, there is a widely diverse mix of people who make Brookline their home. Many academic and scientific professionals, who work in Boston, live in Brookline. Brookline also has more people who work in computers and math than 95% of the places in the United States. There is also a large and thriving community of artists, designers and members of the media. This community of artists helps to shape Brookline’s character. The town has many great resources for residents. Home to the oldest country club in the country, it also features its own working farm and farm stand, a town golf course, a park overlooking Boston with an open air ice skating rink, and the Larz Anderson Auto Museum, which features a 1899 Winton 4-hp Runabout. There are numerous neighborhood parks and playgrounds scattered throughout Brookline. 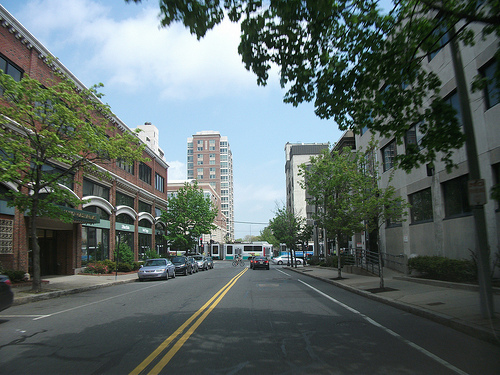 Brookline, MA has several major retail centers including Coolidge Corner, Brookline Village, Washington Square, Cleveland Circle and the Chestnut Hill Shopping Center. All are pedestrian friendly shopping centers that feature a variety of stores, restaurants and malls. The Massachusetts Bay Transportation Authority (MBTA), commonly referred to as the "T," provides light rail transit services in the Town of Brookline on the "C" and "D" Lines of the MBTA's Green Line. The C Line travels through Brookline along Beacon Street from Cleveland Circle to St. Mary’s Street with 12 stops along the way. The D Line travels through the Town of Brookline from the Reservoir Station near Cleveland Circle to Chapel Street in the Longwood Medical area. There are five stations or stops for Brookline residents on the D Line. 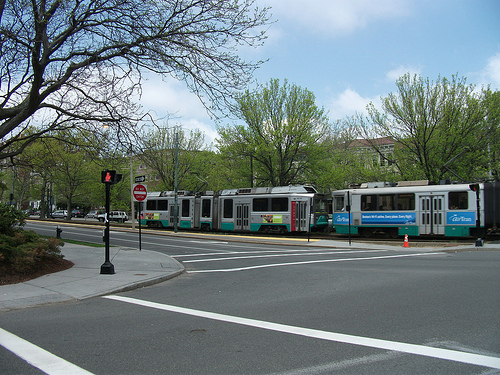 Although not located in Brookline, the Green Line's "B" train is also accessible to residents living in North Brookline. The Town of Brookline is also served by four MBTA bus routes: 51, 60, 65, and 66. The Town of Brookline has an overnight parking ban. The town's Web site states, "No driver may park on any street in Brookline, or in any Town-owned off-street parking facility, for a period longer than one (1) hour between the hours of 2:00 AM and 6:00 AM on any day of the week unless allowed by the Transportation Board." 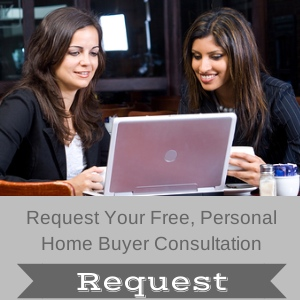 The Brookline, Massachusetts real estate market is upscale and competitive. The median price of a single-family home was $1,635,000 in 2016, up $10,000 from the year before, according to MLS Property Information Network, the local multiple listing service. There were 169 houses sold in 2016. In December 2016, the months supply of inventory was only 1.4 months, making 2016 unquestionably a seller's market. On average, homebuyers paid 95.8 percent of the original list price for houses in 2016. The most expensive sale in 2016 was $6,980,000, and the least expensive purchase price was $555,000 for a 100-plus-year-old-home with 1,436 square feet and one bathroom. Only 31 of the 169 houses sold in 2016 were purchased for less than $1 million. The median condo price in Brookline in 2016 was $770,000, an increase of 9.9 percent from 2015. There were 499 condominiums sold in 2016, and homebuyers paid on average 101.6 percent of the original list price. There was less than one months supply of inventory in December 2016. The most expensive condominium sale in 2016 was $2,625,000, and the least expensive purchase price was $251,000 for two-room unit with 395 square feet. Brookline, MA is located in Norfolk County, and as of the 2010 census, the population of the town was 58,732. Brookline has kept its town meeting form of government since its incorporation in 1705. For homebuyers with school-aged children, the Brookline Public School system is considered by many people to be one of the best in Massachusetts. The system includes one early learning center, eight K-8th grade schools and one comprehensive high school. There are also several private primary and secondary schools in the town. Whether you’re looking for an urban living experience or suburban living with a decidedly country feel, Brookline, Massachusetts is the place for you. Its mix of green space, upscale shops, excellent school system and close proximity to Boston make it an extremely desirable place to live.